Well, here we have an actual example of an appropriate opportunity for a reference! Back in 2009, a little something called Bitcoin came along and caused all kinds of cryptocurrency mayhem as the first decentralized digital currency. And if the open-source and not-under-the-control-of-one-central-body part isn’t enough intrigue – there’s that mysterious murkiness surrounding its most central figure, one Satoshi Nakamoto, the inventor, or supposed inventor, of Bitcoin whose real identity remains one of the greatest mysteries of our time. And ever since Satoshi coined Bitcoin, we’ve all been hunting him down like the elusive tiger shark in Steve Zissou! Only this shark potentially killed off traditional finance practices rather than our deep-sea diving partner. RIP. Anyway, even the U.S. homeland security, who sort of semi-claim to know Satoshi’s real identity, are reluctant to actually publicly declare so. You might be thinking that this melting pot has all the right ingredients for a stew of crazy internet theories. And you’d be right! Let’s take a look at ten of the most interesting. No more Steve Zissou, I promise. I just want you to see me for me. Where did you come from, cotton-eyed Nakamoto? 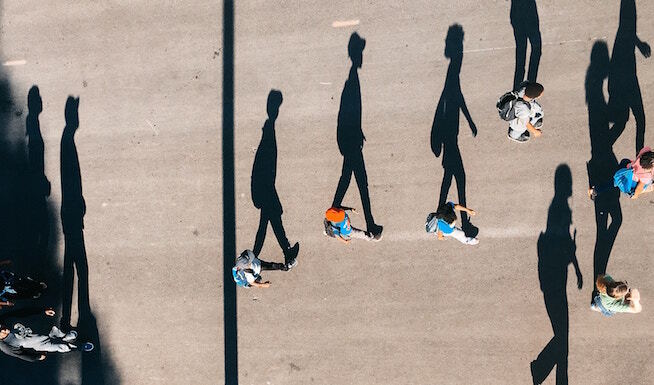 The ‘name’ Satoshi Nakamoto is in fact a pseudonym – it might correspond to one man or woman, working behind the Bitcoin curtain like the Wizard of Oz or it could be a nom de plume adopted by a team of workers, we don’t actually know. The name first appeared on the original Bitcoin whitepaper as the author (the whitepaper being the academic proposal for a peer-to-peer electronic cash system that introduced Bitcoin to the world). Due to the name, and some information unearthed from an old P2P foundation account, it was originally believed that Satoshi was a 37-year-old Japanese man. However, the internet being the breeding ground for disturbingly effective amateur sleuths, it wasn’t long before even this supposedly solid fact was called into question. But then, the would-be Sherlock Holmeses of the net dived deeper. By analyzing his frequent posting times, folk sussed out that Satoshi was often dormant between the hours of 5am – 11am GMT (British Time). Assuming he had a regular circadian rhythm and liked to get his doctor-recommended seven hours’ kip every night, then Satoshi would need to live somewhere on the Continent. Sidenote: this seems like a strange assumption to jump to, if you ask me. When did you ever hear of a technology/computer genius having an early night and getting up in time for the breakfast news? 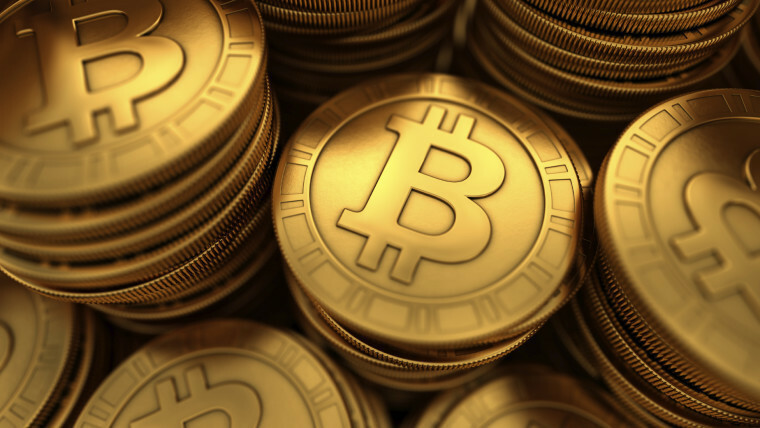 Currently, it’s estimated that Satoshi owns somewhere around one million Bitcoins – which is a staggering amount given the power and work that goes into ‘mining’ a single Bitcoin (for quick reference, the mining process is basically a high-grade computer compiling invoices and transactions into an insanely difficult puzzle and then solving it to produce a line of code, or ‘coin’, at the end). This might all sound horrifically abstract and confusing, and that’s sort of the point. Where traditional economic value stems, fundamentally, from scarcity of the product (the less copies of Steve Zissou on BluRay there are, the more valuable those few that exist become), Bitcoin seems to generate its ‘scarcity’ value by making it insanely difficult and confusing to create the coins in the first place. The fewer folk that can ‘mine’ them, the more valuable they become. Sorry, I’ll just cut to it: we think Satoshi owns around a million Bitcoins and this translates to somewhere in the neighborhood of $7 billion as of November 2017. Yeah, seven BILLION U.S. dollars. I take back what I said earlier: who wouldn’t sleep soundly with that kind of nest egg? Satoshi’s influence and notoriety, combined with Bitcoin’s game-changing power, meant that the elusive figure was actually nominated for a Nobel Prize in Economic Sciences in 2015. Unfortunately, he lost out to Angus Deaton, whose work in analyzing consumption, poverty and welfare outstripped the digital currency. We’ll see who’s laughing in a few years, though. Nobel was on the wrong side of history – I’ve got twenty dollars – worth of Bitcoins to my name. We’re hitting the tables, baby. Vegas! Here’s where things get amusingly post-modern. Or maybe hauntingly capitalist. Or both. I don’t know. Ever since ‘Satoshi’ rose in prominence and fame, ‘he’ has become a hot-ticket item for certain industries. No, I’m not talking about private investigators or IRS auditors…I’m talking about humble T-shirt salesmen. 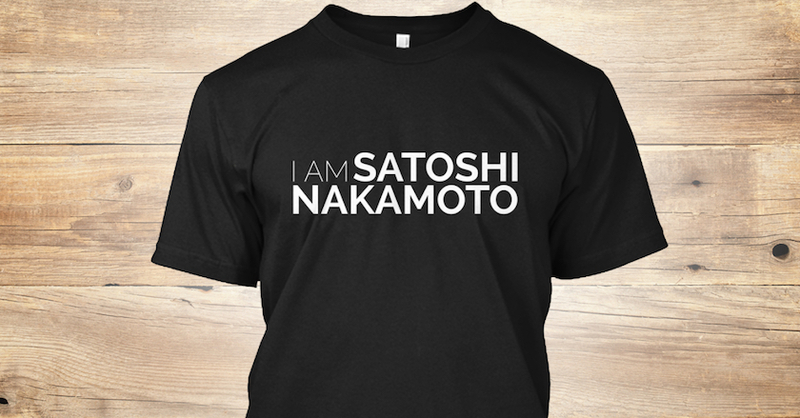 Slogans such as ‘I am Satoshi Nakamoto’, ‘Who is Satoshi Nakamoto?’, ‘Where in the world is Satoshi Nakamoto?’ and, perhaps best of all, simply shirts that state ‘Satoshi Nakamoto’. Just a name. No explanation. Ten bucks that’ll set ya back. Is it ironic or fitting that the figurehead of one of the biggest earthquakes to hit conventional capitalism/economics is being mass produced and sold on T-shirts across the world? What a time to be alive, folks. See the clues yet? Samsung Toshiba Nakamichi Motorola. Almost too simple to be plausible, right? Like a kind of economic Legion of Doom that can’t help giving themselves a really easily deciphered team name. They want to be caught, damnit! Michael Clear? Neal King? Vladimir Oksman? Charles Bry? These names probably don’t mean anything to you and they shouldn’t, really. Because they are not Satoshi Nakamoto…Or so they say. No, the more interesting part of this theory is the people behind the ‘unveiling’. In the great knitting circle that is the modern internet, it’s very easy to not only fall down particular rabbit holes, but to dig them yourself and then shout back, angrily, into the world that THIS IS THE CORRECT RABBIT HOLE – COME JOIN ME IN HERE AND YOU’LL SEE ALL OF MY METICULOUSLY COMPILED DATA TO PROVE THAT THIS IS THE CORRECT RABBIT HOLE. Let’s take Joshua Davis, a New Yorker reporter who proposed that Satoshi’s real identity was Michael Clear, a cryptography graduate from Dublin’s Trinity college. How did he come to this conclusion? In a level-headed, non-obsessive way, you ask? ‘Fraid not. Joshua analyzed over 80,000 words of Satoshi’s writing that could be found online and then combed through it all looking for particular linguistic clues which would suggest…Michael Clear, apparently. He then later went on to suspect Vili Lehdonvirta, a Finnish economic sociologist and games developer. Both men have vehemently denied any linkage to Satoshi. Then there’s Adam Penenberg, writing for FastCompany, who refuted Joshua’s claims and stated that the identity of Satoshi was in fact three people working as one: Neal King, Vladimir Oksman and Charles Bry. How did he come to this conclusion? In a level-headed and non-obsessive etc.? No. Similarly, Adam combed through Satoshi’s Bitcoin whitepaper for certain unique and unusual phrases. In particular, he latched on to ‘computationally impractical to reverse’ – which was used in Satoshi’s writings and then also turned up in a patent application made by the three men above. This patent, which covered the updating and distribution of encryption keys, was filed only three days before Bitcoin’s domain name was registered. Fair enough. It’s suspicious. But all three still denied any involvement. Adam didn’t realize how much influence he had, though. His proposal became the talk of the town! You couldn’t nip to the shops for a carton of milk without hearing the old women at the till talking about the computational impracticalities of this or that. ‘Computationally-Impractical’ even became the most common name for new born babies that year. Just like ‘Steve Zissou’ did back in 2004. One of the more convincing figures in our line-up for the true identity of Satoshi Nakamoto was Hal Finney. Finney was particularly noteworthy because he was a cryptographic engineer who had made a name for himself before Bitcoin arrived on the scene. However, he also became very closely involved with Bitcoin in its infancy: he was the first person to use the actual software after Satoshi had created it, often filing bug reports and helping to refine the system. He was also the recipient of the first ever Bitcoin transaction. Could this be the digital currency behemoth equivalent of sending yourself that first text message when you get a new phone to make sure everything’s working? More still: Finney lived very close to a man called ‘Dorian’ Nakamoto, whose birth name was in fact Satoshi. More on him in a second. Although proximity to someone who, it turns out wasn’t even involved with Bitcoin, isn’t enough to make a solid claim, it is quite the coincidence. Now Satoshi is both an unknown entity AND a digital martyr. Some folk get it all, huh? The tale of Dorian Nakamoto is a long one but, in essence, contains the same DNA as all those stories of folk who happen to be misfortunate enough to share their name or likeness with, say, a fictional character or a murderer. The bare bones of the story are that some of those hyperactive sleuths fingered the wrong guy. 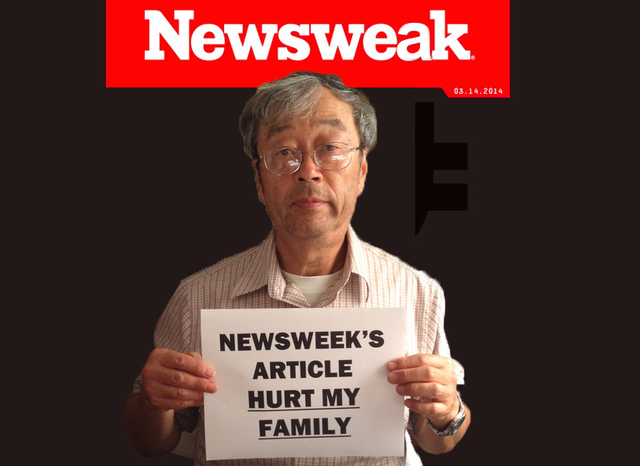 Newsweek, that giant of American magazine journalism, published a story declaring, somewhat definitively, that the real identity of Bitcoin’s Satoshi Nakamoto was none other than a 64 year old Japanese-American man whose full name was Dorian Prentice Satoshi Nakamoto. 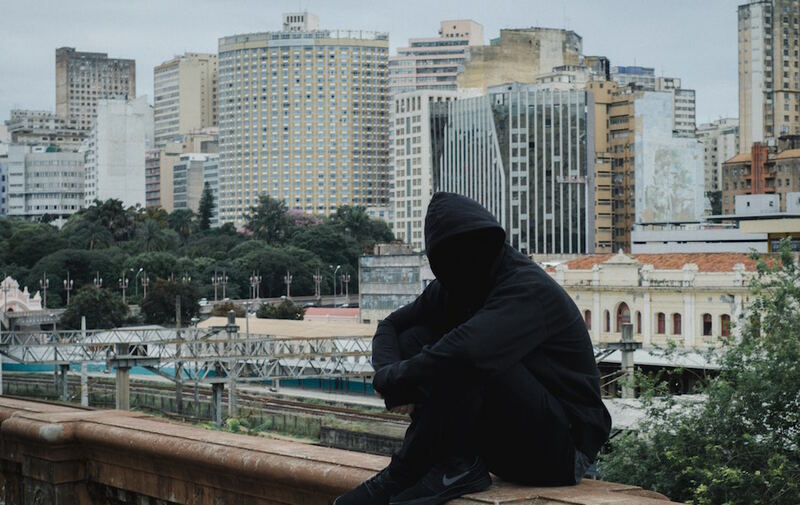 The man was an out-of-work systems engineer with a history in financial services and a couple of other traits that could be overwhelmingly convincing to the right person in the wrong state of mind, especially the kind of person that becomes fixated on a modern day identity mystery. As a result, many different media outlets hounded Dorian Nakamoto, to the point where he was unable to live a normal, hassle-free, life without being put under the massive microscope of the news media. It’s worth noting, to get an idea of how debilitating this may have been to him, that Dorian Nakamoto lives with and cares for his 93-year old mother. The big reveal? He had nothing to do with Bitcoin or anything relating to it. Didn’t even know what it was, in fact. These days, he seems to be on better terms with those involved in the whole debacle, even giving a playful, and Bitcoin-positive Reddit AMA in the Bitcoin forum though. Winner of the Most Obvious Conspiracy Theory Concept: Satoshi Nakamoto is, actually, a special branch of the CIA. The big clincher? ‘Satoshi Nakamoto’ roughly translates to something that could, if one were so inclined, be read as ‘central intelligence’ in Japanese. The theory makes so little sense, though, that it’s rarely given the credence or credibility to warrant proper invalidation. I mean, why would the CIA create a decentralized currency? That’s yer lot, folks. One thing I can tell you for certain: I’M definitely not Satoshi Nakamoto. I’ve also been legally obliged to state that I am not in the employ of Wes Anderson, any of the cast and crew of The Life Aquatic with Steve Zissou or Buena Vista Pictures. They’ve actually asked me to stop discussing it as the standing of the film decreases with my every mention.